Some of the state’s largest wildfires are running rampant in the west right now. 2018 has been a devastating year for fires. As we transition into the fall season, the dry weather, leaves, trees, and other foliage is only stoking the flames. If you’re wondering what you need to know about wildfires to keep your family safe and your home protected, we’ll be sharing some advice in this post. 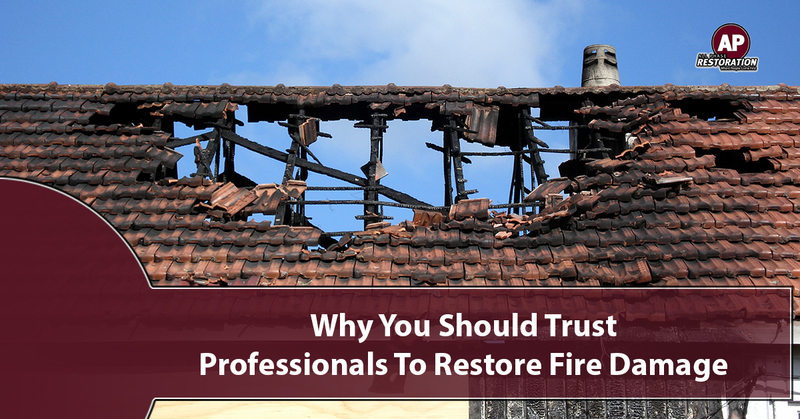 At All Phase Restoration, we provide fire damage restoration services to Denver and the rest of Northern Colorado. Whether your home burnt down due to the raging wildfires, or you tried and failed to put a grease fire out with water, we’re here to help you get your property restored. It’s hard to hear, but wildfires, in most cases, are man-made. Granted, there are plenty of ways for nature to start a wildfire naturally. However, in recorded history, man has been the catalyst to most forest-wide fires — about 84 percent according to a study completed by NASA. It’s understandable that dry weather conditions can make wildfirs worse. Most people do not know that wind is a huge culprit of spreading wildfires at alarming rates. Embers and coals are spread as the fire burns, which extends the reach of the flames much quicker than if it was a day with minimal to no wind. The Natural History Museum of Utah reported that wildfires burn more than 1,200,000 acres per year on average. Furthermore, 95 percent of acres burned are from about three percent of the fires each year. Yes, water is an effective way to put flames out; however, other chemicals and mixtures like flame retardant are used to contain and reduce fires. Also, fire lines are created so the fire has nothing to burn, which, in most cases, will stop the fire from spreading in a given direction. Not all is bad with a devastating wildfires. A wildfire can stop pest populations in their tracks and eliminate non-native species or plants. Did you know two species of pine trees can only grow in the event of a wildfire? The heat from the fire opens the trees cones, allowing them to spread their seed. As cliche as this may sound, fires can remain alive even though they’re not visible. Embers can still be burning long after the flames are put out, which can lead to a fire rising up and regaining a foothold. Now that you know more about wildfires, it’s time to consider how you’re going to restore the fire damage in your home or business. When a fire damages your property, it’s important to take care of it as soon as possible. You want to get back in your home or business. Contact All Phase Restoration in Denver today!